Today we heard from our guide, Richard Riquelme, with some great news! 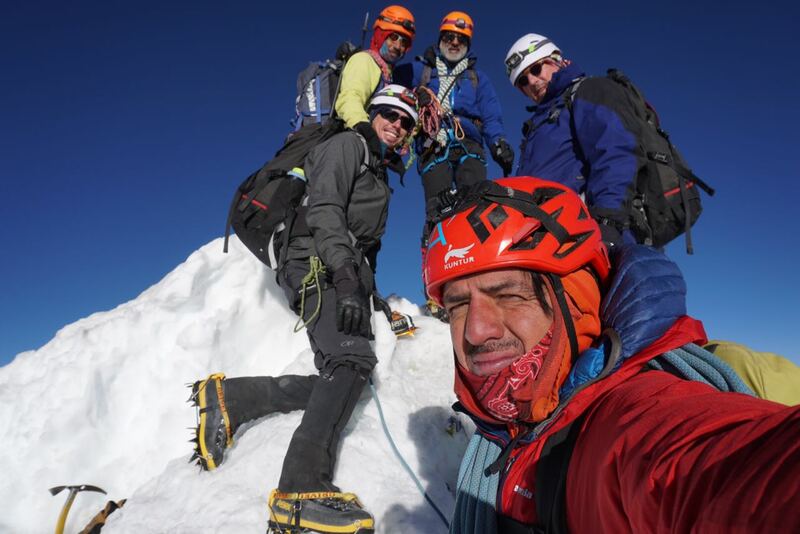 I'm very happy to report that in 5 of our climbers made a successful Summit achievement on Huayna Potosi on Monday morning! Jim reached the Anselm Baud hut at 5,270m and then waited there while the rest of the group completed their summit attempt. Ven, Matt, Lorenz, Albertus and Jacobus reached the Summit between 6:30 & 7:35am! Our other group member, Kate waited for us at Casa Blanca hut (4,800m) while recovering from some stomach issues. She was finally recovered from her digestive issues on the very last day of the trip. She and Jim were in great spirit and happy to see the crew's pictures from the Summit adventure on our way back to La Paz on Monday night. Thanks to everyone of our staff crew here in Bolivia that made it possible to travel safe through the country and have a great time at the same time. This is Richard Riquelme signing of. 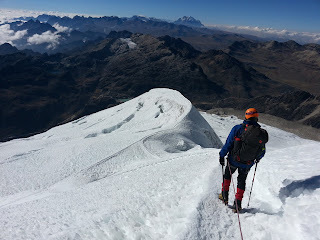 Taking in the sites from Huayna Potosi. Richard Riquelme. The summit photo on the peak of Huayana Potosi! Richard Riquelme.